LOCATION: SOUTHFIELDS ACADEMY: Burr Road, London SW18 4SQ PITCH: When you come in, we are on the far side pitch, just turn LEFT when you walk into the pitches. There are ONLY 3 pitches, so we are VERY EASY to find. 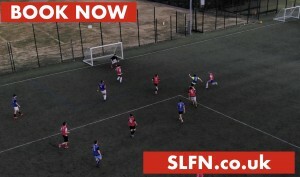 Please use the form below to book your first training session.